Cyclone Nada weakened into a deep depression on Thursday bringing intermittent rains in parts of Tamil Nadu. 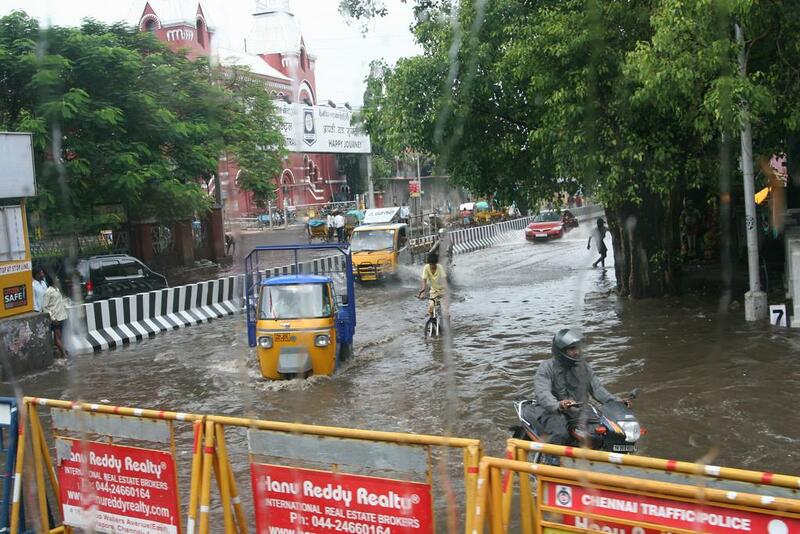 While Chennai recorded little more than 30mm of rainfall, it was enough to test the efficiency of its storm water drains. Besides traffic snarls and uprooting of trees, the rain caused water stagnation in certain low-lying areas such as Adambakkam, Saidapet, Thousand Lights and Ullagaram. Silt in the drains and non-completion of stormwater drain works are some of the reasons attributed to waterlogging. The civic body reportedly received over 68 complaints. According to the press release from Chennai Municipal Corporation 10 boats are deployed near Basin Bridge with four inflatable ones. Fortunately for Tamil Nadu, cyclone Nada, which had sustained its strength in southwest Bay of Bengal, weakened as the coast approached. Hindustan varsity received the highest rains of 65mm, whereas Sathyabama varsity recorded 54mm. Places such as Guindy, Taramani, Nungambakkam and Meenambakkam received 40mm, 31mm, 35mm and 34mm of rainfall respectively. In the wee hours of Friday (December 3), the system crossed the coast near Nagapattinam, around 20 km south of Karaikal. It is presently centered about 15 km west of Nagapattinam. According to Skymet Weather, the system will continue to move to the west and gradually lose more strength. Most parts of South Karnataka will receive light to moderate rains with a possibility of receiving isolated heavy rainfall in some parts. Bangalore is likely to receive light to moderate rainfall in next 24 hours.